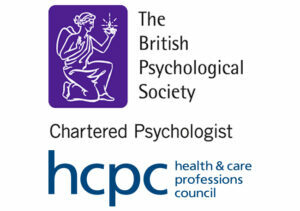 I am a chartered Counselling Psychologist (CPsychol) and Associate Fellow (AFBPsS), accredited by the British Psychological Society (BPS) and a registered Practitioner Psychologist with the Health Care and Professions Council (HCPC). I hold a Professional Doctorate in Counselling Psychology, a Foundation Certificate in Counselling and Psychotherapy, and a BSc(Hons) in Psychology. I am a member of the Division of Counselling Psychology (DCoP) with the BPS and a full member of the Society of Existential Analysis (SEA). As an EMDR therapist in training I have completed part 1 and 2 of the training, and am working with single traumatic events, as well as with individuals who suffer from primary traumatic disorders. I hold a professional, personal and civil indemnity insurance and abide by and practice according to the ethical and good practice guidance of the BPS and HCPC. In my years of experience I have been privileged to work with people from many walks of life and have noticed that what we need, perhaps especially in those busy times, seemingly dominated by technology, is a bit of human connection, a little helping hand to make sense of life, be heard and be listened to- attentively, with an open ear and heart. In my private practice I currently work predominantly with issues around relationships, intimacy, anxiety, loneliness and isolation, self-esteem, depression, body image and eating disorders, stress and burn-out and a more general unease around existence. I provide clinical supervision and research mentoring for students and provide research supervision on a freelance basis. As a consultant and psychologist in the city, I tend to work a lot with stress, burn-out and how to manage and find a work-life balance, relationships and intimacy as well as addiction, anger and compulsivity. 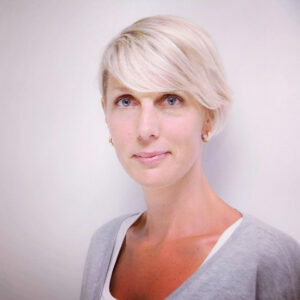 I prepare and run workshops and give talks on well-being, stress management, relationships, resilience, self-esteem and over-connectivity in the digital realm. When working as a psychological therapist in a charity in East London, I had the opportunity to work with both long- and short term clients from all walks of life from the age of 20-65, with a variety of presenting issues, ranging from anxiety, depression, sexuality, bereavement and loss, eating/body image, abuse, drugs and alcohol issues to social isolation, low self esteem and a lack of sense of meaning (Claremont, 2010-2012). It was there that I also facilitated a Psychotherapy group for people aged 55+ for a year, as with the individual clients within an existential- phenomenological setting. Unlike most substance use related therapies, I had the opportunity to work with recovering drug users in an existential phenomenological setting as part of their recovery treatment. The work I did and the struggles faced by my clients inspired me to write my doctorate thesis on the personal experience of recovery utilizing Interpretative Phenomenological Analysis (IPA) (Lifeline UK, 2011-2012). In my professional training I have also been privileged to be able to see primary school children aged between 5-10, within a school setting, as both long- and short term clients (Place2Be, 2009-2010). I have also worked with adults suffering from severe mental health issues, including Schizophrenia, Borderline Personality and other Personality Disorders in a more supportive capacity as a key and support worker (CHT, 2007). My Bachelor dissertation was a quantitative study on the effects of social class in British Society on perceived physical attractiveness.